Finally, hard evidence of alien visitors! In episode 7 of Occult Academy (Seikimatsu Occult Gakuin), we tag along with Maya, as she attempts to get information on the alien invasion. Prepare to be amazed! Maya instructs her partner to meet at the site of a mysterious crop circle. 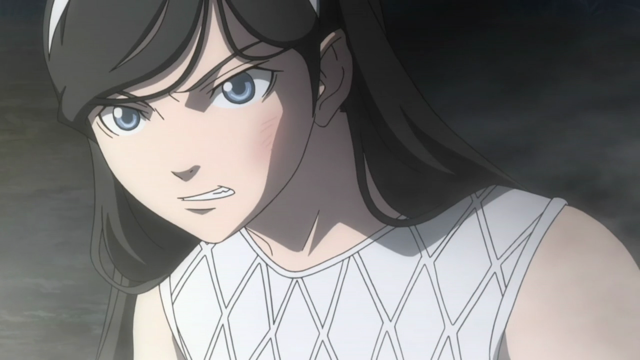 Despite her disdain for the occult, Maya Kumashiro attempts to investigate a mysterious crop circle. 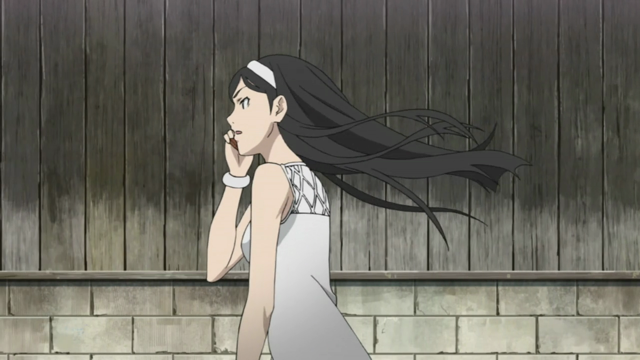 She and Fumiaki are followed by several people, including her friends from school. 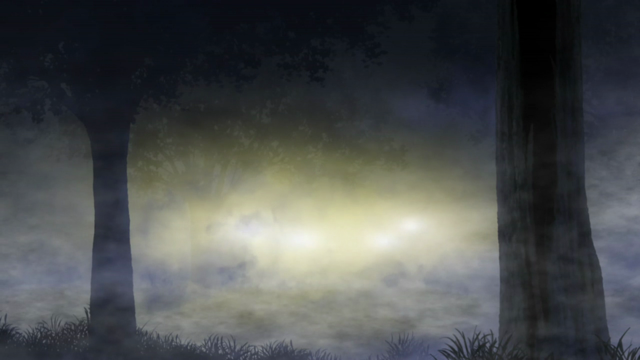 Mysterious lights in the fog at night. 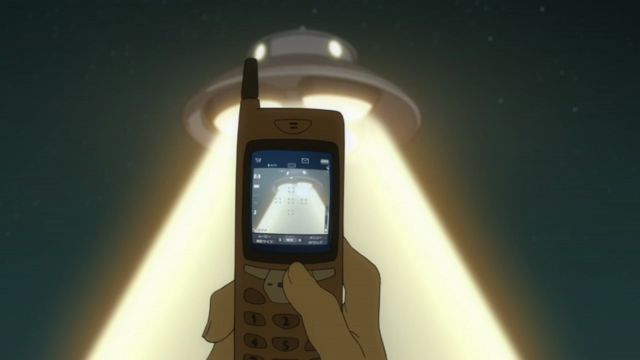 This episode was dead on with the ambiance it brought to several scenes, especially the night-time UFO-chasing scenes. Such scenes should be filled with fog-shrouded country roads at night. And now they really kicked off the final arc, right? Mmm, no. We got trolled again. The great thing about this episode is that, when Maya found out that we all got trolled, she unloaded on the person yanking our chain. This was very unexpected and came across (to me) with some very convincing, complicated emotions. This was one of the best scenes in any series all season. 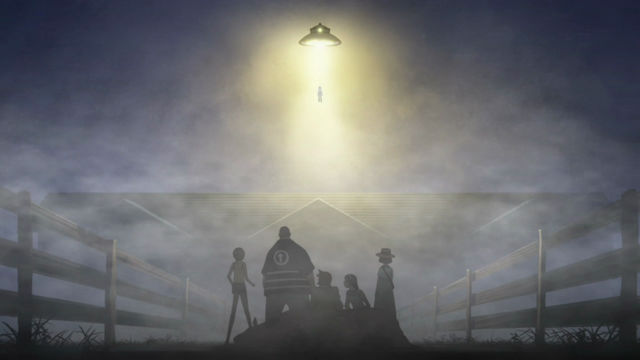 In the end, chasing UFOs, brings you close encounters with absolute hoaxes. What was interesting, though, was the credibility and complexity of emotions that welled up in the aftermath. Occult is getting good at trolling the audience but those mud-filled shoes of JK and Smile were a dead giveaway. I enjoyed the episode even when it didn’t deliver what I was expecting. Hopefully the next one would have some clue to the Nostradamus Key. Actually, I totally expected Maya to unload on them for what happened. It’s serious time and she just got led on a wild goose chase. They had good intentions, but their timing was terrible. I’m glad it portrayed the result accurately, rather than laughing it off like most series do, especially those with comedic aspects. lol at the audience being trolled. In spite of the give aways, it was a very atmospheric epi, not least of all the ‘quieter’ earlier moments when everyone’s reminiscing and having fun. The overall pacing was spot on I felt. And yes, it’s a good thing that Maya didn’t just ‘come to her senses’/ ‘laugh it all off’ when she was slapped, for, as others have said, this wouldn’t have been realistic given the complexity of her feelings at the time. Looking forward to seeing how the new conflict is going to be resolved, with hopefully less trolls! Mostly just agreeing with comments made so far, but specifically: I liked the moment of hesitation Ami showed, just after slapping Maya. She looks like she did something she hated herself for doing, but felt outraged, and ultimately confident that her dad shouldn’t be insulted for what he had done. And, of course, she doesn’t know the details of the situation, so I have a hard time blaming her for her actions.